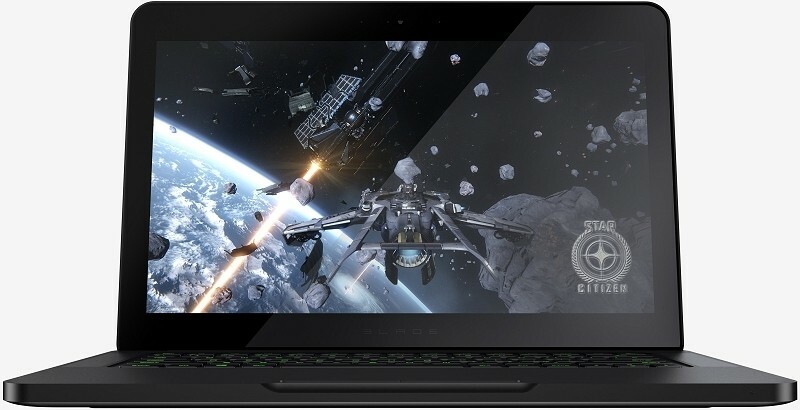 Razer has refreshed its popular Blade gaming laptop for 2015 and by all indications, this iteration could very well be the system to beat if gaming on a super thin system is your thing. Billed as the thinnest and lightest 14-inch gaming notebook in the world, the Blade features an LED backlit 14.0-inch IGZO QHD+ panel operating at a resolution of 3,200 x 1,800 that’s also multi-touch capable. Under the hood is a quad-core Intel Core i7-4720HQ processor clocked at 2.6GHz alongside 16GB of DDR3 memory and Nvidia’s GeForce GTX 970M mobile GPU. Other specs include up to 512GB of solid state drive storage, 802.11 a/b/g/n/ac Wi-Fi, Bluetooth 4.0, three USB 3.0 ports, HDMI 1.4a and an anti-ghosting keyboard with adjustable backlight. The notebook measures 13.6 in. (345 mm) width x 0.70 in. (17.8 mm) height x 9.3 in. (235 mm) depth and tips the scales at just 4.47 pounds. The system it replaces featured a resolution that matches what the new Blade offers although the GTX 870M had a tough time pushing the high-resolution display during gaming. This year’s machine shouldn’t struggle nearly as much thanks to the GTX 970M but even still, it might be a stretch to expect it to play some of the latest titles at maximum graphics settings. The new Blade is available to order as of writing with prices starting at $2,199.99.